These stylish carry-ons are made of tough basket weave ballistic nylon with full grain leather trim. 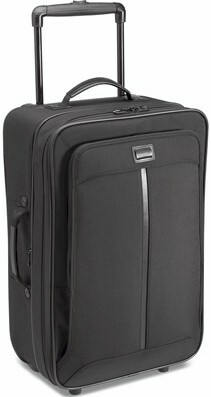 Built to last, Hartmann's Transit Collection was designed to withstand the rigors or contemporary business travel. It's lightweight durability is the ultimate complement to the sleek, modern style. 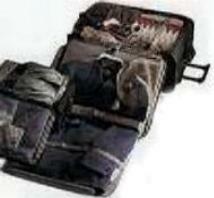 Great expandable carry ons to travel with. On the Outside, these pieces are crafted from basket weave ballistic nylon, a material used in bulletproof vests. All trimmed in Natural Belting Leather that patinas into a darker mature look. And now with a New streamline profile and all New push-button handle. All pieces are trimmed with handsome full-grain leather, and, as in every Hartmann collection, all fabrics are treated with a durable water-repellent coating for stain resistance and moisture protection. All these features found through out Hartmann's Transit Collection. Comes in Rye or Black.